I snuck in to Newday! The lovely Phil Gray organised a badge for me which was waiting at the gate. Sad to say, I whimped out of actually camping. My friend Carol Bailey had kindly offered her pop up tent, and it was either that or a room at the Premier Inn over the road. I thought about it long and hard….all of 20 seconds, and well, you know, a bed, a shower, an electric kettle…not much of a contest really. I delivered the box of food which had got left behind at Kingston to the church site, glad that our kids would not miss out on the green Thai curry specially cooked for them….and helped them eat it. They were all happily organised in their tents and although I am about a century older than them they made me feel very welcome and involved. As evening approached, I found it moving to see thousands of young people streaming toward the Big Top, excited and eager to begin praising God together. They poured in, 7,000 of them, and as Simon Brading began to lead them into worship, the sound swelled rapturously as they clapped, danced and stamped. Lights blazed and drums boomed as guitars and keyboards played the melodies of Simon’s new songs. I also appreciated that older songs were in the mix, and there were some very poignant moments, especially after Stef Liston preached a profound and wonderful sermon on Simon Peter on the second night. (Get it on podcast, simply entitled ‘Fish’). We were led into “I love you Lord, and I lift my voice..”, and a hushed stillness prevailed over the huge tent as some knelt or lay on the floor or stood with arms raised in worship. That night, no one was in a hurry to go back to nightcaps of hot chocolate and cake; the presence of God took over. Highlights for me were Joel’s series on Jonah with the older teens in the mornings; meeting up with loads of old friends who had come simply to serve the youngsters; watching my grandchildren absorbed in worship; chatting with our Kingston church group over lunch. I kept bumping into people whom I have known as babies and children but who are now all grown up! And yes, many were the blunders I made, simply because they now look so different. I mean, when you last saw a kid of 13 who is now a giant with a bushy black beard, is it so surprising that you wonder who he is? 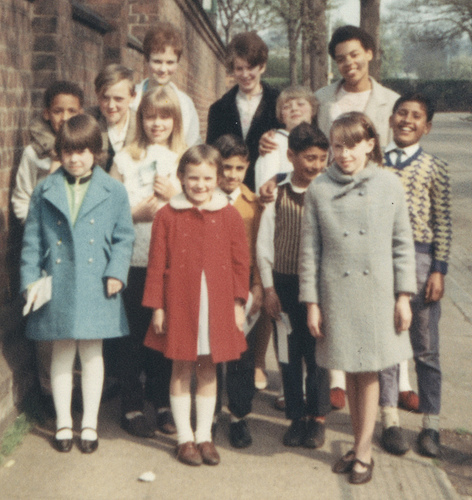 Or a stunning blonde young lady who simply called herself Vicky….I remember her and her twin when they were 5years old, waking me up at 5.30am to play snap. Please forgive me, all those whose names I didn’t remember; my grey cells are not as agile as they once were, but also, I am bad at making the connections when I think of (some of) you in the context of another country! What stuck out to me was that amongst all the fun, hilarity, and youthful exuberance there was a seriousness, an intentionality, a desire to seek God, find his will, walk in his ways. It helps kids, in small churches especially, to be in a massive event which shows them that Christians are not some poky archaic little group, but a force to be reckoned with; where there is freedom to express worship in a genre appropriate to their age range, where there are opportunities to ask questions, to talk to leaders, to find friends old and new; and especially to be in a context where they are confronted with God’s mission to the world, and encouraged to find their part in it. I was also struck with the maturity of the teaching: a strong foundation of theology (which I hope is being laid in all Newfrontiers churches) is being reinforced by such noted teachers as Andrew Wilson and Joel Virgo, and to my delight, younger teachers whom I had not met before, who are now carrying the baton in this next generation. All the time God was encountering these teens: some were being saved, some returning from wandering away, some were healed, and many were finding direction for their lives. I was only there four days, but I feel profoundly blessed and deeply convinced that this event must continue for many more years. 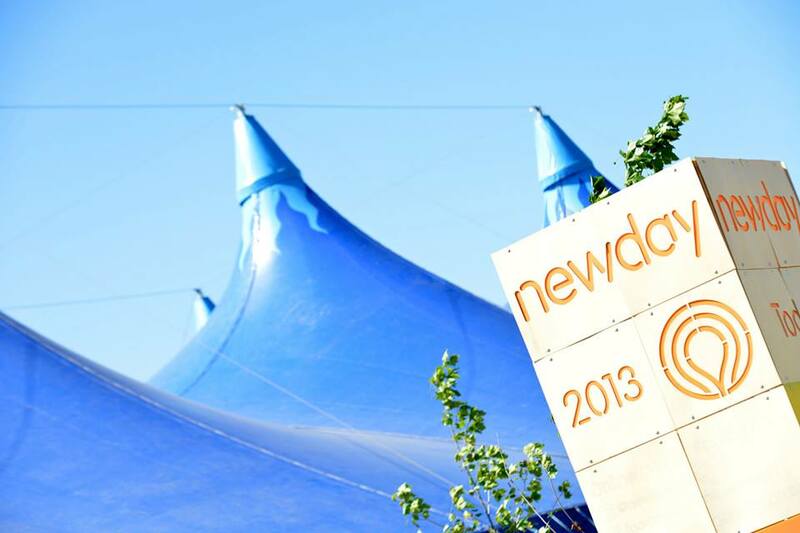 Torrential rain nearly destroyed Newday at its birth a few years ago. The local authorities said we should abandon the ground, but God had given us an amazing promise that this conference had national significance: a promise we never even received for the massive Stoneleigh Bible Week! We refused their advice to abandon ship and experienced an amazing week. Every year has surpassed the previous years. Thousands of teenagers’ lives have been radically changed. Who knows what the future holds for this coming generation and what a vital role Newday will play in the shaping of a new generation for the glory of God? Few conferences have genuine national, if not international, significance. Few conferences are preparing a new generation. Long may it continue. Long may Jesus be glorified because of Newday. I make a plea, rooted in a prophetic statement: we can do more together than we can apart! Newday must go on! 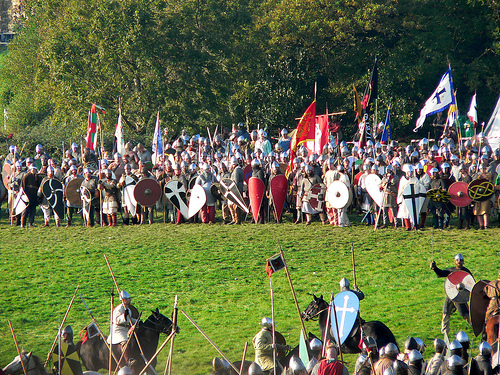 1066 is the date that everyone knows, immortalised by the battle of Hastings fought between the invading Normans led by King William, and the Anglo-Saxons led by King Harold. It was a day that shaped the rest of English history, a seminal day, a hinge, a page turner; for William won and became known as William the Conqueror, and the Norman French poured into England bringing new words, ways, ideas, furniture, food and fashion, expanding, enriching, changing the culture. A picturesque village now stands near the battle site, appropriately named Battle. A few miles away, other battles have been fought and won over the last 35 years. Terry and I lived in Seaford, a small town to the west. One day a man called Don Smith contacted us. He worked in Hastings hospital, and originated from South London. He had recently been baptised in the Spirit and was gathering a dozen or so people to pray and worship in his basement flat. He hooked up with us and joined our exploration into radical church restoration and planting. Over time, the little nucleus grew and began to meet publicly in schools and halls. As they outgrew each one they were always looking for another! They were truly a church on the move! Eventually they bought a massive building on the hill above the town which had started life as a sports centre for indoor cricket and tennis. Bravely, the little crowd entered the vast intimidating space. 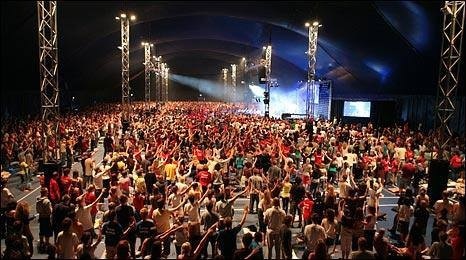 It was ludicrously huge, but they kept dreaming, planning, praying and growing in numbers and faith. The church went through various phases of leadership change. Don Smith moved on to Eastbourne to plant another large and excellent church. John Groves led for several years eventually moving on to Winchester. Currently his son in law Paul Mann leads the eldership team. The church became a sending base and learnt to give generously in terms of money but also people to other church plants. The building also went through various metamorphoses as the vast space was sensibly used and managed. Its present stage is now nearing completion. Being strategically placed opposite a large hospital, it is highly visible and can offer facilities for hospital visitors such as low priced parking and a lovely coffee shop with views over the beautiful countryside. There are lots of side rooms where activities such as Alpha courses, youth events and debt counselling are proving fruitful. New offices are under way, and the large well appointed main auditorium can comfortably seat 700+ worshippers. This Sunday morning, as the worship team took the stage and led us into 40 minutes of glorious worship, my heart was full of thankfulness for the battles fought and won on this bit of turf. It is difficult to imagine how bare and inhospitable this building appeared when it was first acquired; still more difficult to visualise the original small group meeting in Don Smith’s basement! That was the mustard seed from which this beautiful tree has emerged. Doubtless there are more battles ahead; but the church is vibrant, flourishing, growing, alive! King William 1st came and conquered and changed history. Our King has established a kingdom that will never pass away. I am praying for just as radical an impact for this Kingdom to make on our culture in our day; that will make inroads into government, education, business, economy, justice, family life…..everywhere. There are more battles ahead, but also more victories. Keep praying, keep believing! So, here we are dans la belle France, in fact dans la even more belle Provence! On our first morning, although it is not as hot as we had anticipated, the sun is shining which is more than can be said for Kingston on Thames. The view from the bedroom window of the quaint Bergerie (shepherd’s cottage) where we are staying is like a Monet painting: a field full of poppies in the foreground, an ancient and picturesque village behind and a line of blue hills in the background. Fabulous. Terry is enjoying his book, sitting in the sun, but the surrounding hills beckon and I announce I am going for a walk. We have been here before, so I am fairly confident of finding a path that leads to the top overlooking the valley where nestles the village of Fontaine de Vaucluse. I don’t want to be long because we intend to go to Vaucluse for lunch. I set out and sure enough easily find the path I am looking for. It winds up, stony but well defined, and as I get higher I am exhilarated by the beautiful views toward the Luberon range of hills on one side and the gentle plains on the other. Eventually, I reach a point where a signpost points me toward Vaucluse in one direction and Esperacon in the other. I take the first and continue without deviation, hesitation or repetition. I am now going through forest. Pine trees and thorny bushes are thick on either side. I press on, but the path gets narrower and narrower, and the bushes press in and scratch my legs. I am puzzled: this doesn’t seem like a proper well trodden path! But I keep going until the track peters out altogether. I push on a few yards and stop. No point; I must reverse, go back the way I came. I’ve obviously missed a turn somewhere. So I turn around and walk back to the path. At least I try to walk back to the path. How difficult can that be? Oh that must be it, over there, of course! But after a few yards, I am faced with impenetrable thorn bushes. I back out exasperated and turn in another direction, following gaps in the trees which must lead to a path…I blunder around trying this way and that, by now becoming genuinely worried. I have not brought my phone with me or even a bottle of water! How dumb must I be, I tell myself. Where is the sun? Which way is south? At this point the sky is cloud covered, but I think I know. Trying to stay calm I decide to walk steadily in a downward direction, dodging through branches and twigs. Suddenly a path! Yes a real path with stones and edges. Enormously relieved I turn left on to it. After about 10 minutes I arrive at a high point overlooking a deep valley. I realise I should have turned right so I retrace my steps (again!) 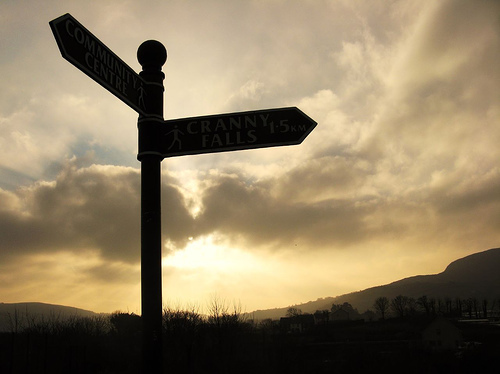 and soon come to the signpost on the main path. By now I am jogging down that path, full of heart-felt thanks that the Lord guided me out of the confusion, despair and fear of being lost. Being lost is frightening. Why is that? There is an inbuilt desire to know where we are and where we are going; to be surrounded by the familiar; to be in control. We find security in knowing where we are, and not knowing reduces the most confident person to a gibbering wreck. Perhaps what is worse is not knowing that you are lost, that you are pressing on thinking you are OK but heading for disaster. I was sitting on a hard wooden bench in a little hall on a Sunday afternoon in May. It was Whitsunday, that is, the day when we commemorate Pentecost. I was 7 years old. The teacher was explaining about the day the Holy Spirit came. I don’t really remember what she said at all, but I do remember that at the end of her talk she read a poem about a boy who was challenged to give his life to Jesus. He declined. The poem went on to describe multiple other times in his life when he had the opportunity, but he kept hardening his heart. Eventually the poem came to the death bed scene, where he was given the final opportunity to make that choice. The last line of the poem sonorously proclaimed, “turning over on his pillow he died.” There was a collective gasp from the children present, as we knew he had entered eternity without turning to Christ for forgiveness and redemption. A somewhat bizarre poem to bring to seven and eight year olds! Some would say it was gross manipulation of a child’s emotions. But as our teacher went on to explain that we didn’t need to go through such a process but could come to know Jesus now, this very day, I knew that He was calling me. It was very clear. She led us in a simple prayer. I prayed it with all my heart and as I asked Jesus to come into my life, forgive my sin and save me, I felt Him come in. I remember it so clearly. It was as if the lights came on. Everything looked brighter, more focussed. I ran up to Mrs Tilsely Green and hugged her and told her that Jesus had come to me. When my father came to pick up his daughters, I told him. I told everyone, expecting in my childish naïveté that they would understand and be pleased too. Some were, some weren’t. The next week at school I insisted on singing a hymn to the entire class. When we were told to write an essay on the happiest day of your life guess what I wrote about? I can still remember the teacher’s comments: “Wendy, you are too young to take life so seriously.” I think I was probably a bit of a pain to all and sundry. But I have to say that after sixty years, I have never regretted making that decision. For although at the time I thought I was asking Jesus into my life, I began to see eventually that he had been seeking me; he had me in his sights before I was even born! He had a destiny for me. I am so grateful for my Christian parents who patiently trained, taught and disciplined me, and who showed me that God’s way is best by demonstrating it by their choices and loving obedience to him. I am grateful that I have been surrounded by Christians for much of my life and I value the Christian community which encourages, supports, loves and spurs us on. I am grateful that I learned to know and trust the wisdom found in the Bible to guide me through my life. I am grateful for a loving husband, undeviating in his total devotion to the Lord. I am so grateful for children and their spouses walking with God. I am grateful for countless answers to prayer; for daily provision, for health, for amazing adventures around the world. But most of all, I am eternally, endlessly, unspeakably grateful to the Son of God who loved me and gave himself for me. 60 years has gone in a flash! But I will have endless ages to sing his praise. Today I went swimming in the sea. It is early February. Let me explain: I am in Sydney, Australia, and it is 25 degrees Celsius. We arrived four days ago from rain soaked Britain, looking forward to some sun and dry weather, and what happened? It rained for 2 days solid. However, yesterday and today it has been warm and sunny. Forgive the weather report: I know Brits are derided for being obsessed with the weather but can you blame us? It has been the stuff of nightmares in England: rain and rain and more rain for weeks, months; clouds, grey skies, the sun nothing but a distant memory. Depressing. So, one does expect a certain euphoric delight in actually sighting that almost forgotten golden orb, and a sharp disappointment when it fails to show up! However, as I say, today the clouds dispersed and it was 25’C! So off to the beach, and down to the rock pool! Oh bliss! To immerse oneself in warm(ish) sea water and swim! The good thing about the northern beaches is that there are not only amazing stretches of golden sand and immense and spectacular waves, in which intrepid surfers can be seen at any hour of the day come rain or shine; there are also lovely pools carved out of the rocks where non surfers like me can swim, happily secure and not buffeted by said enormous waves. Those waves are something else. Not normally seen on British beaches. Towering mountains of water, wonderful for surfers, but terrifying for ordinary swimmers, they roll in relentlessly; and the inevitable bunches of enthusiasts with surf boards bob around waiting to catch a big one and ride in on the crest with crazy, breath-taking speed! 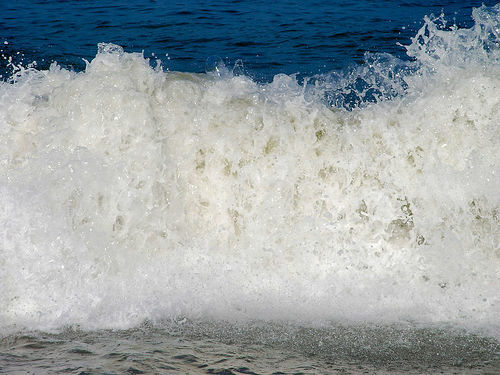 There is something hypnotically fascinating about a rough sea, the waves forever breaking, the crashing sound, the white surf. I am not sure if I want to see the current blockbuster movie, “Impossible”, the story of a family who were caught up in the tsunami of December 2004. The trailers are enough to scare you witless. But they remind me of a prophecy that was given in 1996 at a Newfrontiers conference in Brighton. The same word was brought twice by different people on two separate occasions. I have also heard of it being spoken in other contexts since then. It is about a huge wave that will roll in over the south of England, towering over hotels and tall buildings, engulfing Brighton and rushing up through the streets. It is about a move from Heaven of the Holy Spirit. It has echoes of Isaiah 64, the coming of the Spirit like a pent up flood that the breath of the Lord drives along. Have you read of times of Revival? They cannot be manipulated into being by human agency, but they often seem to come after prolonged and sustained prayer by people desperate for God. Today in Sydney, Terry and I awoke to hear the sad news that in London in the house of commons last night a bill was voted in to change the definition of marriage. This is not only morally wrong, it is illogical, arrogant and nonsensical. The implications for our society will bring great confusion. Our nation is spiritually bankrupt. If ever there was a time of need for a wave of activity from the Holy Spirit, it is now. I long to see that tsunami wave gathering height and momentum out on the horizon, and to feel the rush of power as it breaks on our nation. God have mercy on us! “Almighty God , we come to you, we come before your throne. We hadn’t sung it for years, but the words came back to us, and the tune, and it seemed so appropriate. Later as I reflected on it, I felt overwhelmed with gratitude for those songs that Dave wrote all those years ago. Back in the 70’s and 80’s Christians were ripe for new expressions of worship. The baptism in the Holy Spirit was like rain on the dry ground of evangelical mainstream churches that had become sterile and rigid, and people were gasping for new life. As they got flooded by the Holy Spirit, fresh desires for worship were awakened and the need grew for new songs. David Fellingham was one of the first to write beautiful new songs at this time. In fact I would say he pioneered a whole new genre. One of the main features of his songs was that often they were chunks of scripture set to new melodies. This had the excellent effect of helping Christians to absorb truth as they sang. Often the songs were in a new idiom: they seemed complex when Dave introduced them as they were frequently written in different parts for men and women; but once learned they were fun and satisfying to sing, and not difficult at all! The arrangements were innovative and boldly modern at the time. Dave also led the way for a whole raft of instruments to be used as well. At the Downs Bible weeks there was a full orchestra for several years; and later the groups that followed owed a lot of their creativity to Dave’s inspiration. Of course there were other song writers and worship leaders who began to impact the Christian scene, such as Graham Kendrick, Noel Richards, and Chris Bowater. In America, Integrity music was also greatly instrumental in introducing new songs, sounds and singers. In Australia Hillsongs became hugely influential. As our church in Brighton, now known as CCK, grew, it became a breeding ground for musicians inspired by Dave Fellingham. It is such a privilege to count among our friends such outstanding worship leaders and song writers as Stuart Townend, Paul Oakley, and the inimitable Phat Fish. Kate and Miles Simmonds (now in Sydney) and Jules Burt, and Simon Brading are also from CCK , and now many others are following on. Nationally and internationally of course the Christian scene has been so blessed by Matt Redman, Tim Hughes….one could go on and on. Every church you go to has its own worship teams and it is no longer considered new and innovative to be led by musicians playing guitars, drums, violins, trumpets, saxophones, keyboards…you name it! But I would pay tribute not just to Dave’s amazing musical ability, but to the desire in his heart to express worship to Jesus and to lead others into his presence and enable them also to worship. We owe him a lot. He led the way, motivated by passion and love for God, and truly follows in the footsteps of David the Psalmist, “The man anointed by the God of Jacob, Israel’s singer of songs.” (2 Samuel 23:1). India. It all comes back the minute you get outside the spanking new airport of Bangalore: or Benguluru as it seems to be called now. It is a long distance outside the city, and it was rush hour so the traffic was dense. Horns blaring incessantly, scooters weaving perilously in and out, laden buses lumbering along and crowds thronging the streets as dusk quickly became nightfall. 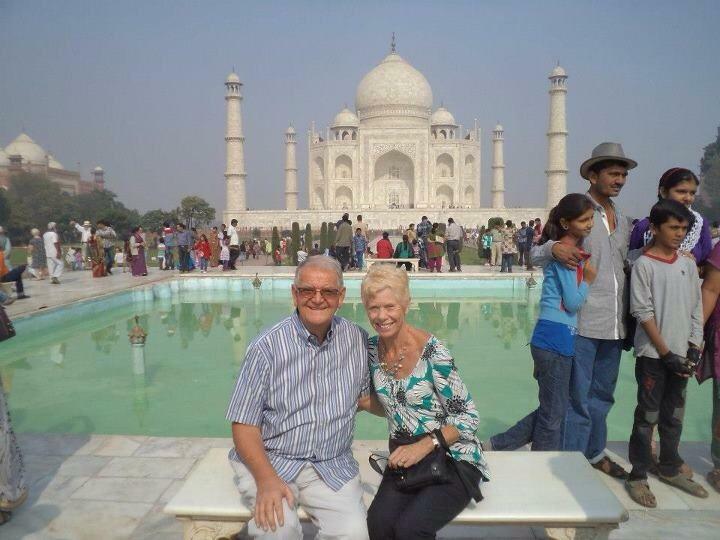 India! The colourful saris and kulturs, the rickshaws, the cows nosing about in the rubbish, the stray dogs running around. Smokey fires, smells of curry, cows and coffee. Rubbish everywhere. Sewage. We arrived at the hostel where we were staying and found to our joy lots of friends also staying there, from India and UK. Much delighted greeting took place in the foyer before we were shown to our room, and were pleasantly surprised. In the past we have slept on beds like ironing boards, but here the beds were OK and the shower hot and strong. 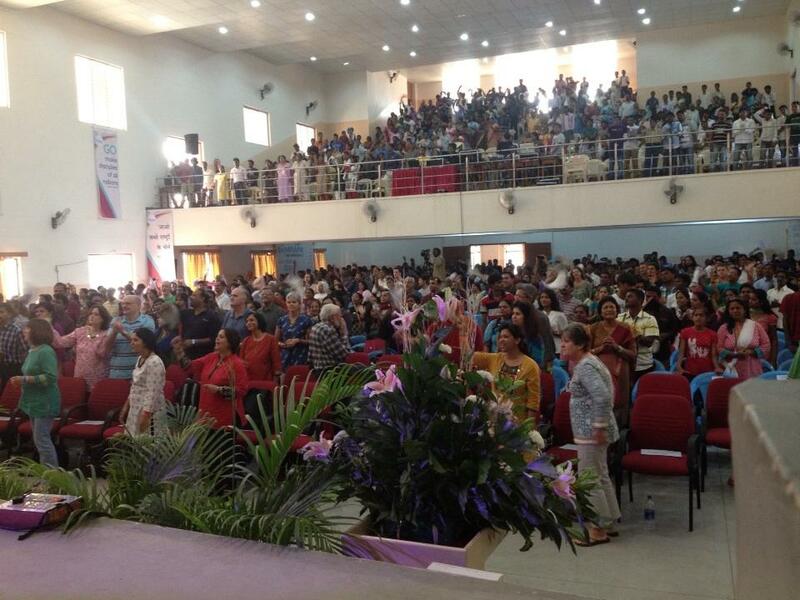 Next morning over a thousand gathered in a school building for the “Together on a Mission” conference. Over the next few days worship was conducted in several Indian languages: Hindi, Malayalam, Goan, as well as English. Later my friend Joy-Anne took me shopping. Just mooching around the streets is fun, but buying is an education. I had silk scarves in mind for Christmas presents. We went upstairs in a small shop and sat by the counter as the assistant displayed numerous pashminas, shawls and silk scarves. Glutted by sheer abundance of colour, pattern and texture I eventually chose some beauties and Joy-Anne haggled for me. The whole lot came to a few pounds in English money. Things weren’t so blissful that night. There was a powercut at about 9.30 pm as we returned to our room. We groped around in the dark until someone brought a candle. It was Diwali so the night was filled with loud bangs and flashes of fireworks; dogs barked incessantly, and trains rumbled through on the nearby railway hooting loudly. The imams started their chanting at 5am and the Catholics over the road competed with early mass. “Silent night” is an unknown concept here. Electric power was still unconnected, but thankfully restored in time for a shower and breakfast. Later on, I found myself once again standing in worship, when unexpectedly the worship leader led us into an old hymn, “Blessed Assurance, Jesus is mine.” Flashback to a 7 year old me in Harringey arena with my mother at the first Billy Graham crusade in London. From then on, through my childhood and teens, Blessed Assurance was a recurring feature of church life. This is my story: heir of salvation, purchase of God, born of his spirit, washed in his blood.” This is the song of the redeemed. This is a foretaste of glory when myriads from every tongue and nation sing it around the throne.